If you’re looking for ways to show cats love, you’ve totally come to the right place. I have oh-so much practice spoiling my big ginger cat, Ben, and his newer adopted siblings, Kitten and Pixie. The love we give to our cats is given back to us tenfold with the joy they bring into our lives. If you love your kitties as much as I do and want to show it, you’re going to love this read. Plus, there are SO many cute kitty pics ahead. 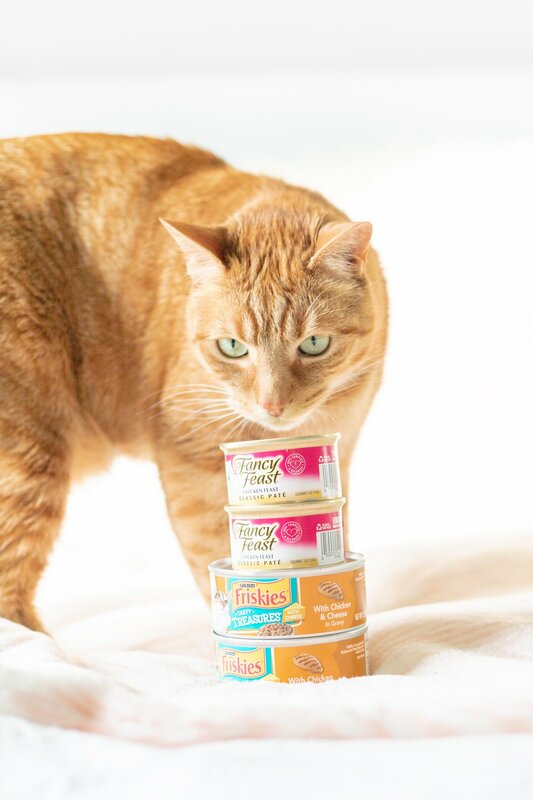 Wet cat food like Fancy Feast®, Friskies®, and Purina® ONE get all those little paws racing to the kitchen. Food is one of the best ways to make sure your cat is as happy as can be. Making sure our pets are happy and thriving is a must. 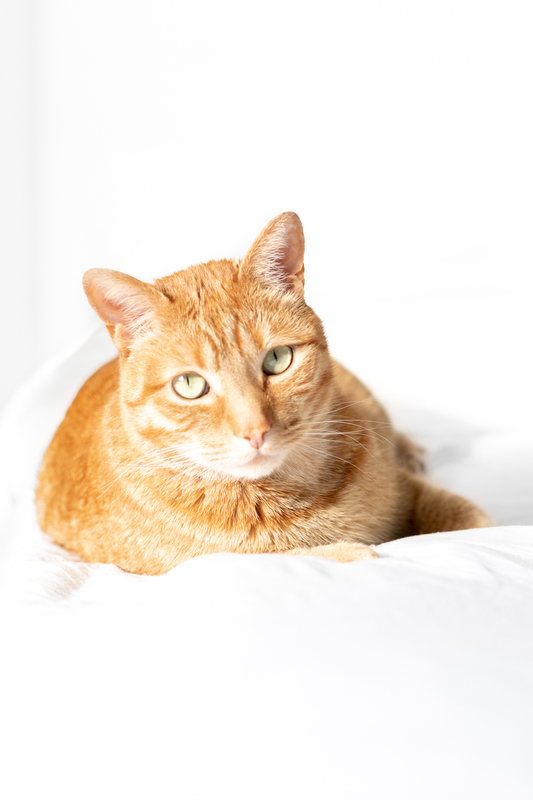 Here are some of the ways I’ve learned along the way that keep our cats purring. Let’s jump in! Petting – Cats will usually let you know with head-butts and meows when they want affection. Our cats cannot get enough pets and snuggles. 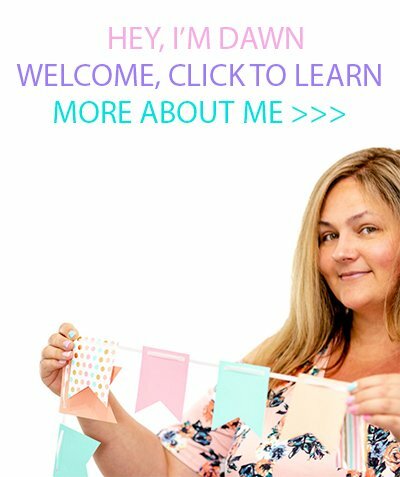 This is such an easy way to show your cats you care. Take the time to give them that love. Mealtime – Wet cat food is my cats’ favorite. When I pop open a can of Fancy Feast or Friskies, the meows start rolling in. I feel good about feeding it to them because they absolutely love it, but there are extra benefits, too. If you’re a cat parent, you know what it’s like trying to make sure your cats are drinking enough water. I love that wet cat food provides them with extra hydration! As an added bonus, it also contains high protein for lean muscle and is complete nutrition for cats. 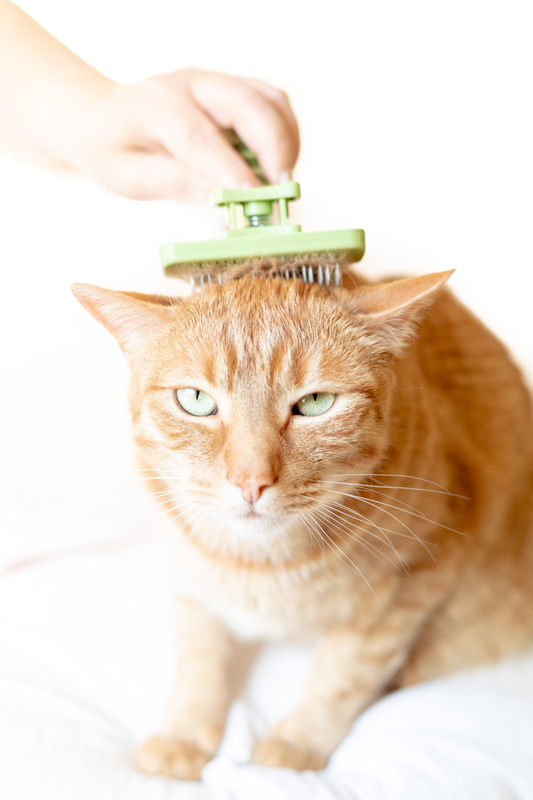 Grooming – Not only is grooming super important but our cats love it. Brushing them is right up there with petting. As soon as they see the brush, they all line up for their turn. Don’t let Ben’s grumpy face fool you for one single moment. He’s living it up. 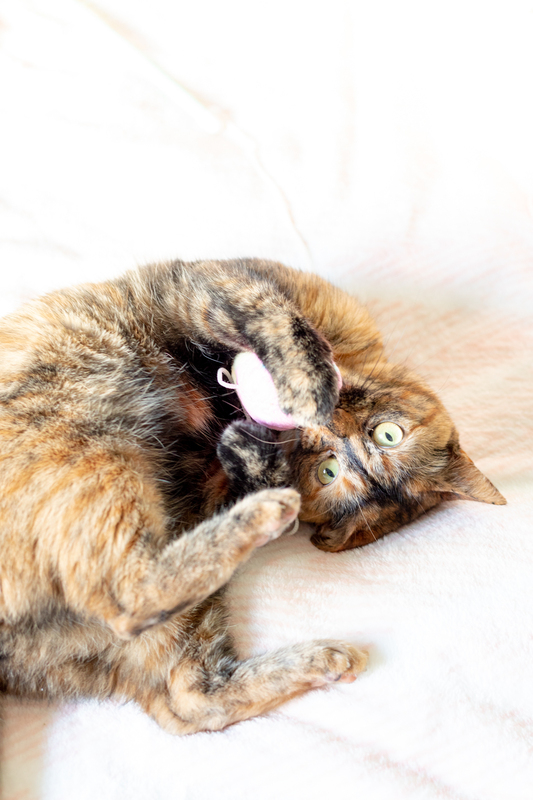 Playing – When our cats are in a playful mood, it’s SO fun! There’s a reason why funny cat videos are so popular. We are lucky to have a live show multiple times per day! Seriously, they are just too cute. Routines – Ben, that hungry boy, keeps us on a tight schedule. He knows exactly when dinnertime is, so feeding him on time is crucial. I think it’s SO adorable. Each cat loves and appreciates when I stick to their routine, and it’s an under-looked way to show your cats that they are loved and cared for. Hope you found some new inspiration to love on your furbabies today, too!